Who is Considered an Outside Writer When Registering Works into My Songtrust Account? 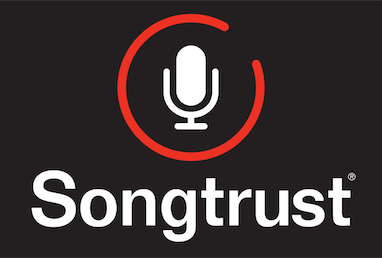 Within your Songtrust account you can have two different kinds of 'songwriters' attached to any song you register with us. The first and most important writer in your account is what we consider a 'client writer.' This is any writer who you want Songtrust to handling publishing for - We will administer works and collect royalties for any and all client writers within your account. When you first create your ST account you are automatically granted 1 songwriter credit - this credit goes towards your 'client writer' and you have the option to purchase additional credits for any writer you want us to administer publishing for. You should only ever register works that your client writer has a share in as we do not collect or administer for any other writer within your account. The other type of writer you can have in your account is what we call an 'outside writer' - this is anyone who is a co-writer and has shares in the works you registered on behalf of your client writer, however, we do not administer, register or handle their publishing royalties whatsoever. You do have the option to convert an outside writer to a client writer in your account if you a later decide you also want Songtrust to handle their publishing as well, however, as long as they are an outside writer, we will not act as their publisher or offer publishing services for their works/shares whatsoever. Writer 1 : Asia (client writer) - 50% Songtrust will register my works with PROs and collect my publishing royalties ! They act as my publisher and will show up as my publisher on PRO databases as well. Writer 2 : Emily (outside writer) - 50% Songtrust does not handle her song registrations with PROs or publishing royalties whatsoever - she is solely listed here because she owns a percentage of the song we wrote together.